An acid is a substance or compound that tastes sour. When dissolved in water it releases or donates protons, such as hydrogen ions, into a surrounding solution, thus reducing the pH of the solution. In regards to the pH scale, acids have a pH range lower than 7 (with 7 being the neutral point or pH value for pure water). 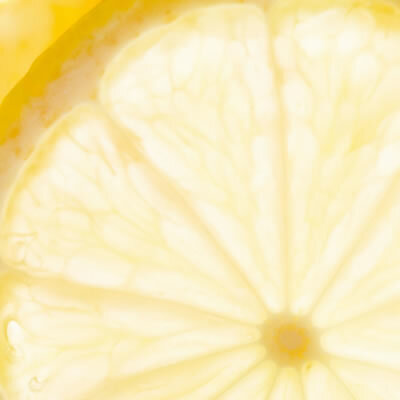 “Acid” is a Latin term translating to “sour”—a very appropriate term because any acidic substance has a sour taste such as lemon juice or vinegar. Acids are abundant in nature in both organic and inorganic forms. Organic acids made up of only Carbon, Hydrogen and Oxygen are mostly used in food applications. Organic acids such as fumaric acid, a powerful antimicrobial agent and acidulant, and inorganic acids such as phosphoric acid, can be artificially synthesized under controlled reaction parameters in chemical plants. Inorganic acids are also found in nature. Citric acid, an organic compound, is naturally present in all citrus fruits such as grapefruit, pineapples, peaches, oranges, lemons, and limes. Acids play a vital role in baking. In the production of cakes, the carbon dioxide produced during leavening is responsible for the expansion of the batter resulting in the cellular structure of the baked product. In bread, acids in sufficient amounts boost yeast fermentation rate, and extend shelf life of baked products. Chemical oxidation of aldehydes under controlled parameters. When obtained, they are referred as carboxylic acids, and are identified by containing a carboxyl group which is a combination of a carbonyl group and a hydroxyl group. Biotechnological synthesis. Vinegar and citric acid are commercially obtained by fermentation. Acetobacter aceti converts ethanol to acetic acid under aerobic conditions, and citric acid is produced by microbial fermentation of molasses by fungi Aspergillus niger. Acids add a sour note when such flavors are desired. Sour milk products, lemon juice, and fruit products are acids used in the baking industry to enhance flavor and add a sharp taste, or balance flavors of sweetness such as in sourdough bread, raisin bread, and turnovers or pastries. Tartaric acid is a naturally occurring inorganic product obtained as a by-product from winemaking. It is commonly added in confectioneries to regulate the pH in the food. In bakery products, it may be used in icings and fillings as a chelating agent. It is also found in cream of tartar, a leavening acid. Citric acid, a three-carbon, three-carboxylic acid, is used primarily as a flavoring agent or acidulant. Citric acid and its salts are also used in the production of sourdough bread, helping create the distinct sourdough flavor. Lactic acid, a three-carbon compound, is present in appreciable quantities in sour or fermented milk. Also used in bakery formulations. *Neutralizing value: Parts by weight of baking soda (sodium bicarbonate) from which 100 parts by weight of leavening acid will release all the available CO2, achieving neutralization. Miller, R. “Leavening Agents” Encyclopedia of Food and Health, Elsevier Ltd., 2016, pp. 523–528. Delcour, J.A, and Hoseney, R.C. “Chemically Leavened Products” Principles of Cereal Science and Technology, 3rd edition, AACC International, Inc., 2010, pp. 177–180. U.S. Food and Drug Administration. “21 CFR 184 – Direct Food Substances Affirmed As Generally Recognized As Safe.” 1 Apr. 2017, https://www.accessdata.fda.gov/scripts/cdrh/cfdocs/cfcfr/CFRSearch.cfm?CFRPart=184. Accessed 16 May 2018. What is a good rule for the amount of baking soda to an amount of acidic ingredient?